The country is at a standstill and it has given an opportunity for people from various walks of life to speak out for their democratic rights. 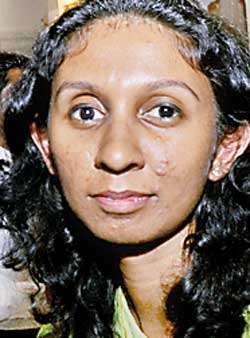 The fight is still on as more groups are flocking together to alert President Sirisena himself about the undemocratic moves he made overnight. From removing the Prime Minister to dissolving the cabinet and proroguing Parliament, policy makers argue how he could resort to such powerful decisions when he himself was instrumental in bringing about the 19th Amendment to the Constitution. In a fruitful discussion organised by Professionals for Democracy, the impact of the present political crisis on various spheres were discussed. These included shedding light on the Constitution, impact on the economy and reconciliation. "We hoped for democracy, development and reconciliation. The events that took place since October 26 have kept us wondering about what our elected representative is up to. 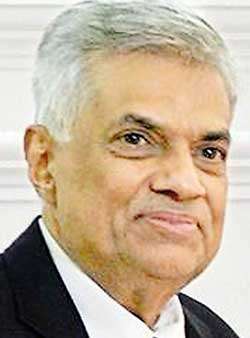 We commenced this journey to instill a society where we could live peacefully"
In his opening remarks ousted Prime Minister Ranil Wickremesinghe said that it is the pan (thachchiya) speaking and that everybody got together to make a hopper. “We hoped for democracy, development and reconciliation. The events that took place since October 26 have kept us wondering about what our elected representative is up to. We commenced this journey to instill a society where we could live peacefully. People started to become active on social media and fight for democracy. People participated in our rallies. With that we can be happy that we have strengthened democracy over the past three years. We established procedures to elect officials to office. 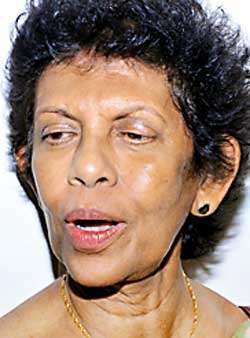 We were able to allow institutions to function independently,” Wickremesinghe said. Meanwhile speaking at the SLFP convention, President Sirisena explained the present crisis in relation to duties carried out by a Viharadipathi (chief incumbent of a temple ) and Maha Nayaka (chief prelate). 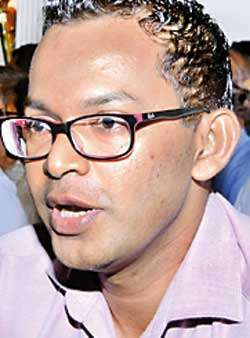 In his response, Wickremesinghe mentioned that this has nothing to do with a Viharadipathi or a Maha Nayaka, but it is an issue with the Vinaya Pitaka in reference to the Constitution. “The country is governed by the Government and not the Executive. We have to take action against those who are violating the principles of the Constitution. 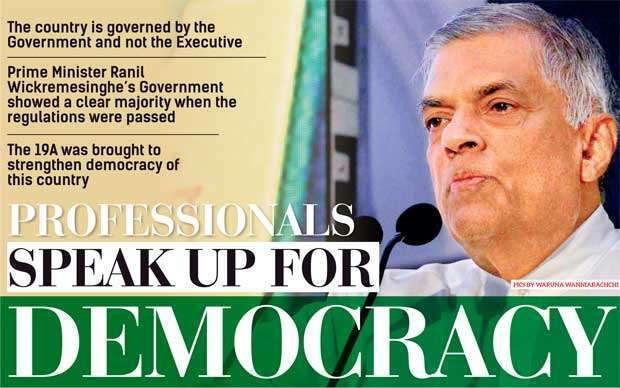 We also have to abolish the Executive powers of the president,” Wickremesinghe went on. 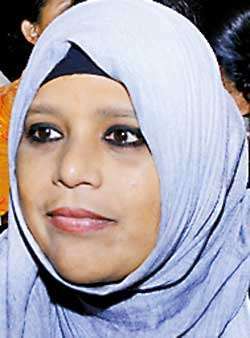 "The elected representative has joined hands with the person we wanted to overthrow and has posed a threat on democracy. 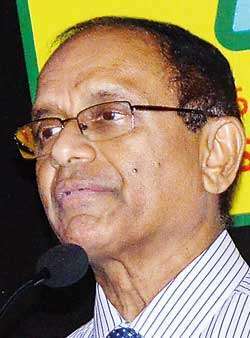 So we have to rescue democracy from the hands of both these individuals and that’s the struggle we are facing now"
“We experienced an authoritarian regime sometime ago,” President’s Counsel and member of Parliament Dr. Jayampathy Wickramaratne said while delivering a speech under the topic Constitution Usurped. 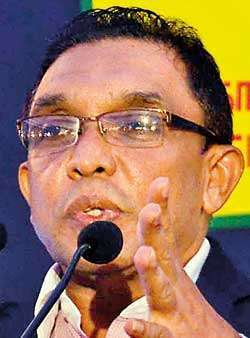 “In order to overthrow that regime we appointed Maithripala Sirisena as the President. Three and a half years afterwards we are once again faced with an issue in terms of democracy. The elected representative has joined hands with the person we wanted to overthrow and has posed a threat on democracy. So we have to rescue democracy from the hands of both these individuals and that’s the struggle we are facing now. Although it has been referred to as a constitutional coup, I would like to rephrase it as a political coup. On October 25 and 26 we passed various bills in Parliament and one of them was a Finance bill. 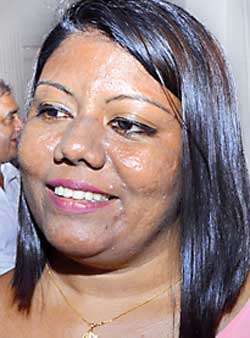 Prime Minister Ranil Wickremesinghe’s Government showed a clear majority when the regulations were passed. That night, the President removed the Prime Minister against the powers vested upon him through the Constitution. “Then the person we overthrew, since he was a threat to democracy, was reappointed as the Prime Minister,” he continued. “He then decided to prorogue Parliament thinking that he would be able to secure 113 votes. But despite a few who decided to crossover and may return during the next few days, we have to be proud about our MPs for standing their ground and staying true to their principles. Even I was offered a sum, but we all know how important it was to bring about a change. Thereafter he dissolved Parliament; which was an unconstitutional move. We see people talking about the Constitution. It’s good to see the democracy live and kicking,” he added. He further said that the 19A was brought to strengthen democracy of this country. “It limited the powers of the President, functions of independent commissions were strengthened and the functioning of the judiciary was strengthened. This is why people are having high hopes on judgments. We removed his power to remove a Prime Minister. Therefore a Prime Minister could be removed only through the Parliament. This could be done either by defeating the budget, his manifesto or a No-Confidence Motion. But none of these events took place. The President would have expected MPs to support him, but that didn’t happen as well. 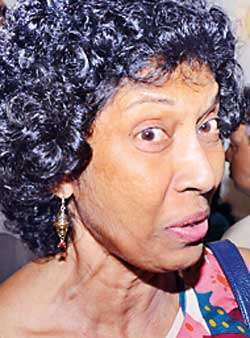 Wickremesinghe had the majority on October 26 as well, so he’s the legitimate Prime Minister of the country. We have witnessed the crisis that the country has faced and it is quite evident that this situation arose due to misinterpretation of clauses in the Constitution,” he said. "We should ensure that the present political litigation could be resolved through democratic debate and non-violent interventions. 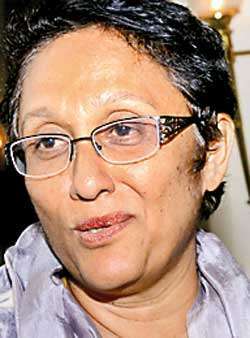 Since October 25 we have been a nation gripped in fear, confusion, anger and disrupt"
Sirimal Abeyratne, Professor of Economics at the University of Colombo, shed light on the impacts of the economy as a result of the present political crisis. “Before we talk about where we are heading in terms of our economy, it is important to look at where we stand today. Asian countries are supposed to be the fastest developing economies. Out of these, China and countries in North Asia top the lists. But now it has shifted to countries in South Asia.This is because capital started flowing in from Western economies such as USA and they were directed towards Asian countries. It is in this backdrop that I received the report done by World Bank titled ‘The South Asia Economic Focus’. Unfortunately, Sri Lanka is not one of the countries with a fast developing economy. Sri Lanka lies just before Afghanistan and all other countries in South Asia are very much above Sri Lanka. 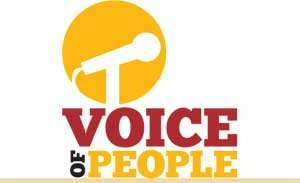 As a result of a slowly developing economy we are unable to earn more income and even find employment,” he explained. “Therefore we would face issues with regard to the Budget and foreign exchange,” he continued. “This affects tax rates and exports. The rupee was a currency that was continuously weakened. It was this rupee that got depreciated against the dollar over the past few months. This was due to the short-term impacts of foreign exchange which were feeding into the stock exchange and started moving out all of a sudden. Hence this political crisis occurred during a crucial moment where we required some strong policies to secure the rupee and strengthen the economy. Of course the Central Bank can release money, but how will we pay off our debts in that case? Back in 2004, we exported goods amounting to USD 7 billion while Bangladesh also exported goods that summed to the same amount. But today, Bangladesh exports goods summing up to USD 38 billion while we export only USD 19 billion. We could have obtained more loans from other countries, but recently credit rating agencies ranked Sri Lanka as a weak country for acquiring loans. Hence even if we recover our stability in another week or two, the unpleasant precedence created through the series of events over the past few days will have a long term impact on the country,” he added. “We have been a country devastated with an armed conflict. We have seen abductions, kidnappings and massacres. Now is the time to really ask if we are going to sit back and watch or stand up and voice out against unlawful practices. 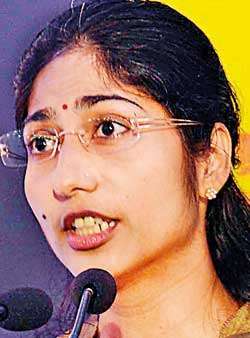 We need to take steps towards change and not take time for granted,” she said in her concluding remarks. Towards the end of the event a few participants aired their views. Should MPs with dual citizenship be allowed to remain in politics?